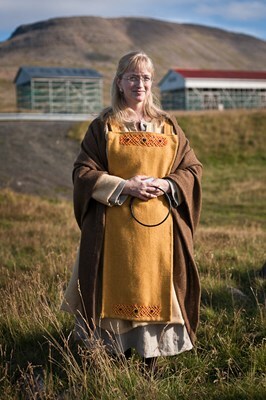 An encounter with Nordic Paganism. 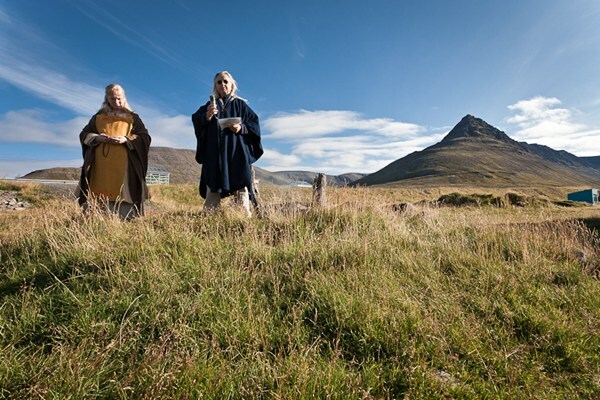 Storytelling, ancient ritual and local food -The tour focuses on storytelling, giving information on a subject that has influenced the Icelandic nation up to this day, both consciously and in ways that is more subtle. Also, it is a tour of the taste buds, with an introduction of local food. All this takes place in an environment of wonders, gorgeous nature and a former cow shed. 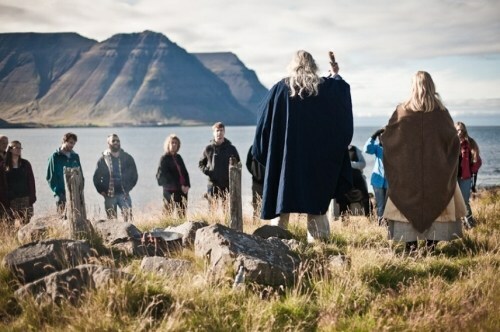 Guests are welcomed by Godar (two chieftains/heathen priests) by the sea in Arnardalur valley. 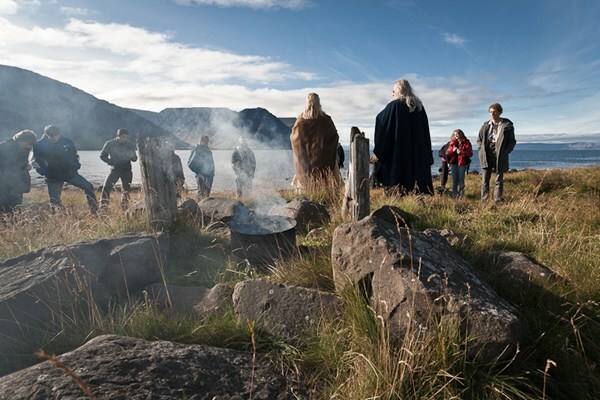 The chieftains tell stories about Asatru, the old Nordic Paganism, but informations on this Nordic legacy have been well preserved in Iceland and are a big part of the nations roots. Guests are invited to participate in Blot, an traditional ceremony, where passing of the horn plays a big part. 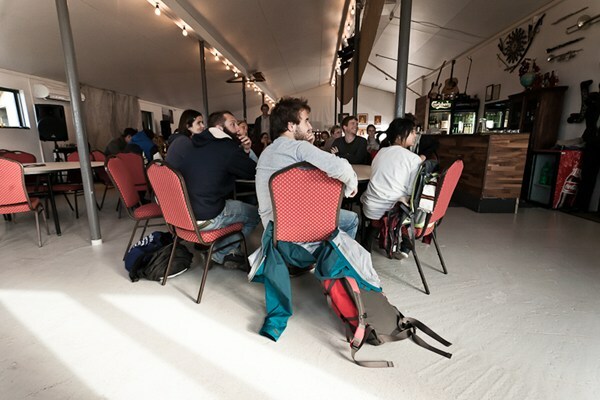 Then the old cow shed on the farm is visited, which has been turned into a restaurant and there is a tasting of local food and further storytelling is proceeded by the chieftains. Consumption of food and drinks has always been a major part of the Blot ceremony, and certainly we honor that.